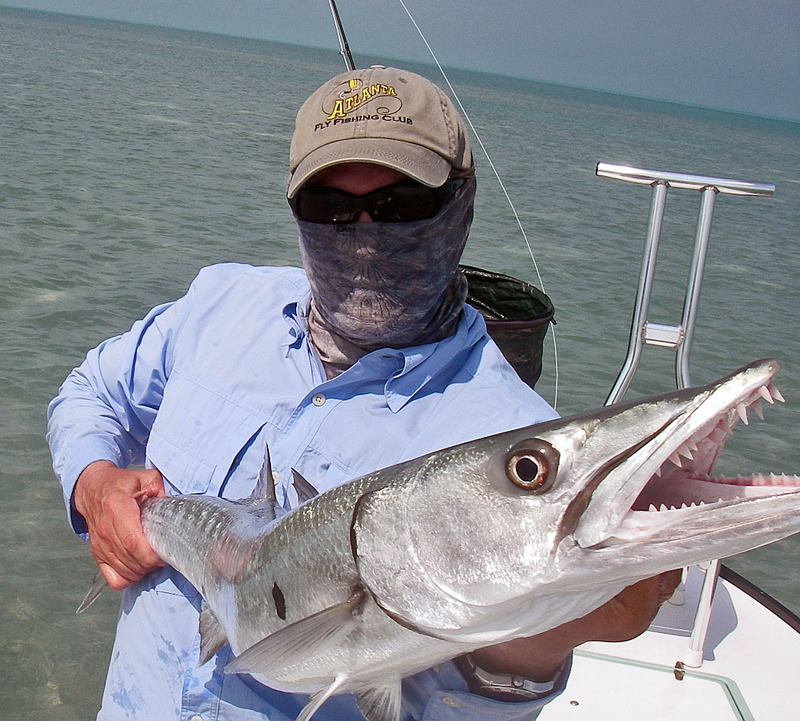 February flats fishing report for the Lower Florida Keys..
February is a transition month, with some warm days that make for good conditions to find tarpon, permit and bonefish on the flats. This month we have had more then our share of warm days. the fishing has been good. We got hit with a cold front this weekend.. Temperatures in the 60's and windy. Typical this time of year. (Actually the reason I have the time to write this report). But will be back in the 80's in two days! For the most current info on fishing , weather conditions, etc.. Check out and like..
On cooler days, when water temperatures drop below 70 degrees, we target, barracuda, redfish, jacks, sharks, sea trout and lady fish. Always something fun to fish for here in the lower Florida Keys. On the warmer days, tarpon have started to appear in the back country and lay up basins. They can also be found rolling in the channels. We have been finding some nice schools of permit on the gulf edge too. Dan Kelly with Wolf Creek Outfitters from Mt. boated this nice redfish on fly. We had to battle an 8 foot bull shark that wanted it too.. A couple well placed jabs with the push pole discouraged the shark enough for Dan to release this redfish. Leah got her first tarpon last week! 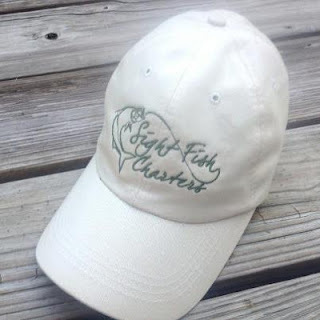 Book a charter for February, mention this fishing report and get a free hat! Want to get your hands on one of these? 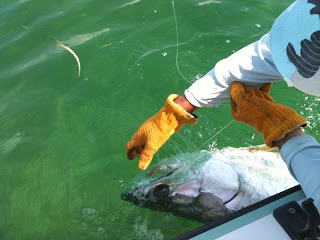 I still have some days available during tarpon season.